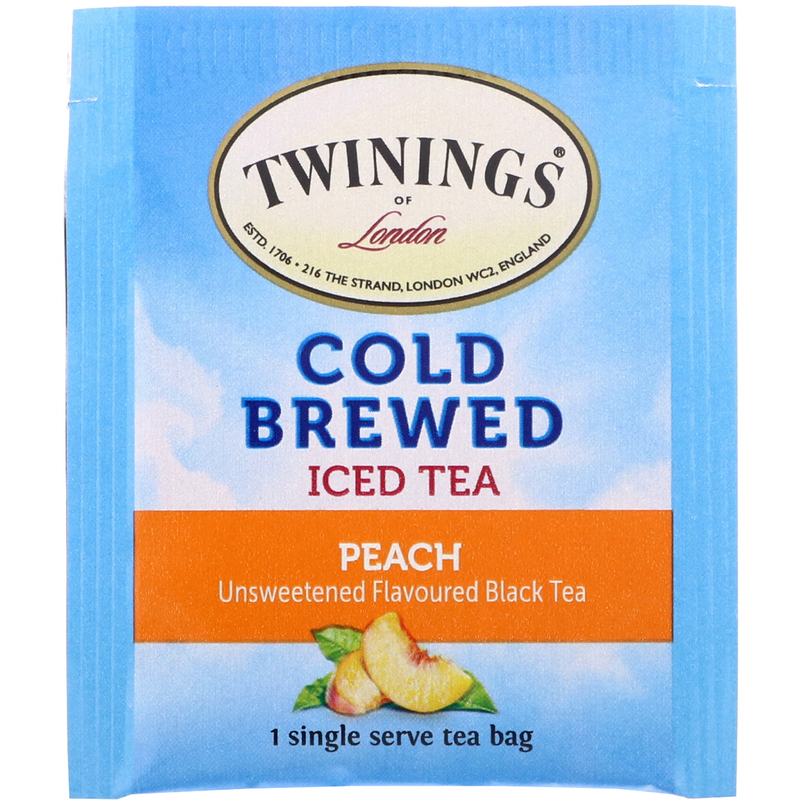 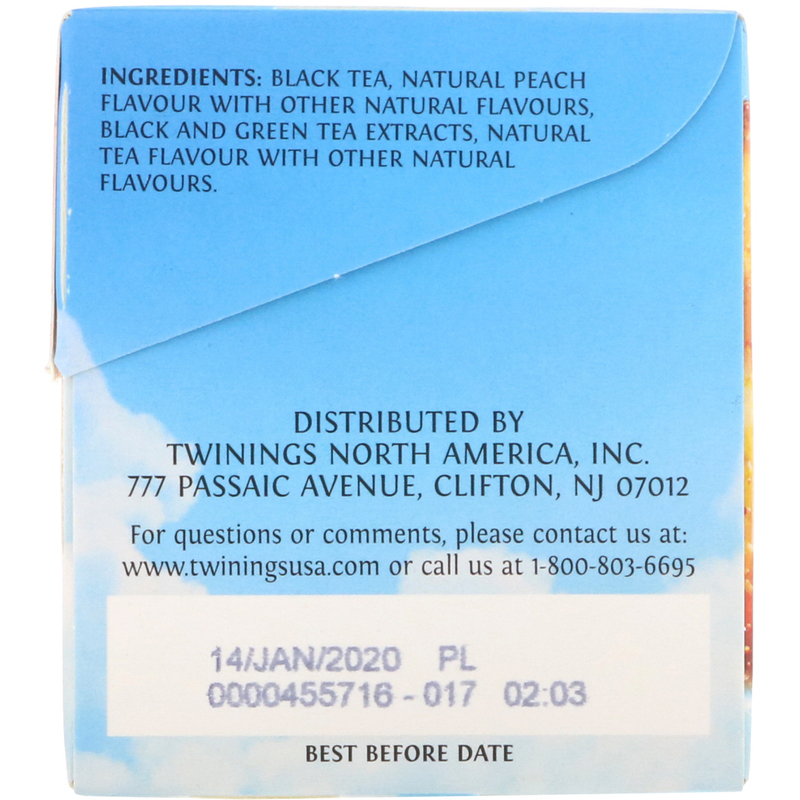 Twinings peach is a delicious alternative to packaged or traditionally prepared iced teas. 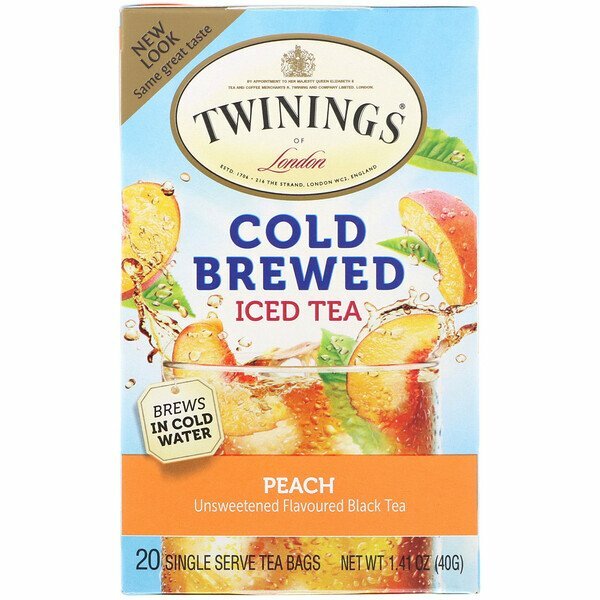 This blend combines carefully selected black teas with the juicy fruit flavor of peach to yield a mouthwatering iced tea with slightly sweet aroma. Black tea, natural peach flavored with other natural flavors, black and green tea extract, natural tea flavor with other natural flavors.